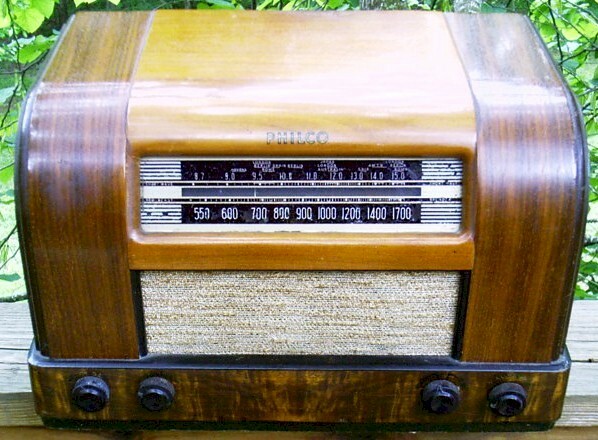 This two toned wooden pre-war table model features two frequency bands, AM and shortwave. Seven tubes; it is controlled by four knobs: on/off tone, volume, band switch and tuning. The original finish is beautiful, with natually aged toning of the wood. The photo-finish base trim looks great, too. Recapped, plays great. A must for your collection. 15"W x 9-1/2"H x 9-1/2"D.
You are visitor number 2,924 to this page.